This story first appeared in 2010 in the Austin American Statesman. After relocating to Austin in 1990, Pariah regularly sold out 1,000-capacity venues, but on their final show, soon after officially being dropped by Geffen in 1995, they played to less than 300 at their home club, the Back Room. Two weeks later, the band’s bassist and driving force, Sims Ellison, put a shotgun to his face and pulled the trigger. But in taking his own life, Ellison, who suffered from anxiety and depression for years, eventually helped save the lives of other musicians. His suicide was the inspiration for the SIMS Foundation, which provides low-cost mental health services to uninsured musicians who, because of irregular working hours, low pay, easy access to alcohol and drugs and often-volatile intraband relationships, have a unique set of psychological needs. “Anytime SIMS sets up anywhere in the public, we have at least one person come up to us and say they wouldn’t be there if it wasn’t for SIMS,” said Tricia Forbes, executive director of the foundation. Ellison didn’t drink or smoke, but the band was his life. When it crumbled and his mates, including younger brother Kyle Ellison, went their separate ways after nearly 10 years of constant camaraderie, it was apparently too much for 28-year-old Sims Ellison. On top of that, his girlfriend of nearly three years, then-unknown actress Renee Zellweger, had broken up with him six months earlier. Pariah drummer Shandon Sahm recalled Sims Ellison as full of nervous energy. “He used to say, ‘If you ain’t stressed, it ain’t happening,'” said Sahm, the youngest son of Texas music legend Doug Sahm. The three years with Zellweger, when the band was signed to Geffen, were Sims Ellison’s happiest, Sahm said. 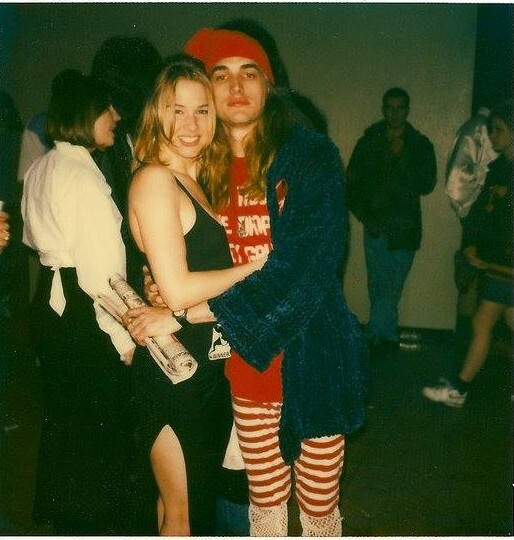 Zellweger’s best friend at the time, her “Texas Chainsaw Massacre: The Next Generation” co-star Lisa Newmyer, dated Kyle Ellison, younger than Sims by three years, and the four practically lived together at the Railyard Apartments downtown. In December 1994, Zellweger split with Sims Ellison and moved to LA, where Jerry Maguire would make her a star less than two years later. Derrick said Sims Ellison bought himself a shotgun for Christmas that month. Meanwhile, Geffen Records had decided to drop Pariah and pay the band $50,000 to dissolve the two-album deal. The band, rounded out by guitarist Jared Tuten, decided to take a hiatus after one last show at the Back Room. “Sims was really bummed about everything,” said Derrick, “and I told him he really should get a dog. His eyes lit up and he said, ‘That’s a great idea! '” That was the last time Derrick saw Sims Ellison, who got a job at Urban Outfitters on the Drag two weeks before his death. David Garza is one of thousands of Austin musicians helped by the assistance program inspired by the Sims Ellison tragedy. “I was having a hard time a few years ago with a personal relationship and with my label,” said Garza, who released two critically acclaimed but soft-selling albums on Atlantic in 1998 and 2001. “I was raised Mexican American Catholic. We didn’t go to therapy – that was for weirdos. If you had a problem, you went to confession.” But Garza had musician friends who’d been helped by SIMS, which has a network of 60 therapists and treatment centers that charge greatly reduced rates. With an operating budget of $600,000 a year (about 25 percent of which comes from KGSR’s “Broadcasts” CD), SIMS helps an estimated 600 Austin musicians a year. Such musician-aimed services weren’t available to Pariah, whose disappointing career could be summed up by the night in early ’94 when the members gathered around the TV to watch their video for “Powerless” debut on MTV’s “Headbangers Ball.” They waited and waited for almost three hours until just before 2 a.m., when their video aired, the last one of the night. Signed after a South by Southwest showcase in 1990, Pariah had to wait almost three years until the release of To Mock a Killing Bird in 1993. In between, Nirvana exploded and grunge made Pariah’s brand of glam metal obsolete. Pariah l-r Shandon Sahm, Kyle Ellison, Sims Ellison, Dave Derrick, Jared Tuten. Photo by Todd Wolfson. 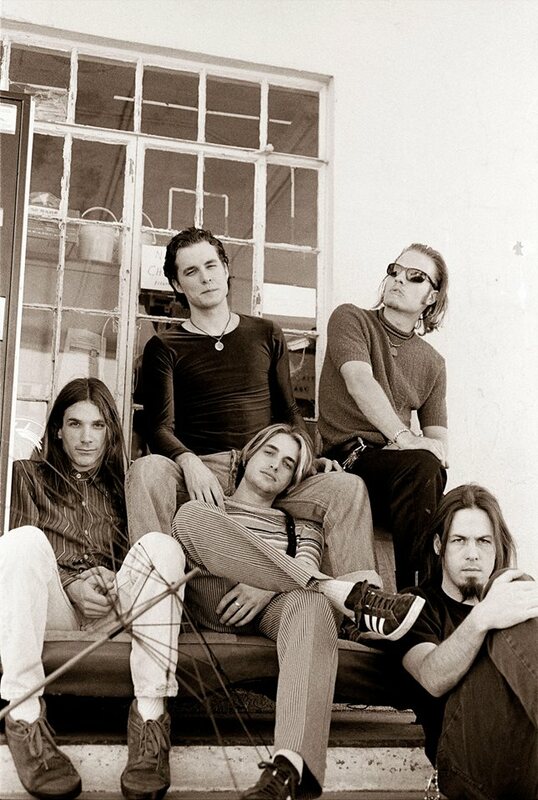 “Pariah had the worst timing ever,” said the band’s co-manager Wayne Nagel, who founded the SIMS Foundation in June 1995 with his Austin Rehearsal Complex partner Don Harvey and Sims’ father, Houston oil engineer Don Ellison. “If the record had come out the year after they were signed, it would’ve been a whole different story.” Instead the band was forced to wait more than two years while Geffen threw all its clout and resources into the much-delayed Guns N’ Roses Use Your Illusion two-album project. Treated like kings by Geffen before To Mock a Killing Bird came out, the band couldn’t get phone calls returned when the album didn’t take off. Pariah met Zutaut, who did not answer an e-mail request for comment, backstage at SXSW 1990 after a scorching set at the Back Room. “He said he didn’t have time to sign another band, but that, just by him coming backstage, we were going to get signed,” Sahm said, with a laugh. The SIMS Foundation, named after a lovable, yet troubled Austin musician, was formed for what comes next. This entry was posted on June 6, 2015 at 1:00 am	and is filed under Uncategorized. Tagged: Renee Zellweger, Sims Ellison. You can follow any responses to this entry through the RSS 2.0 feed. You can leave a response, or trackback from your own site.